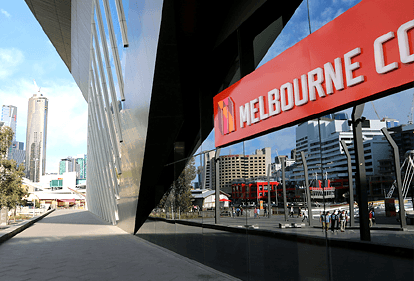 The Melbourne Convention and Exhibition Centre is superbly located on the banks of Melbourne's Yarra River, close to the heart of the CBD and just 30 minutes from Melbourne's International Airport. The new Convention Centre has received world wide acclaim for achieving a 6 Star Green Star environmental rating by the Green Building Council of Australia, the first in the world for a convention centre. The modern complex is a landmark in the area, perched on the south bank of the Yarra River, and surrounded on all sides by trams, trains, buses, taxi ranks and ample car parking. A short stroll along the iconic Southbank Promenade places you in the heart of Melbourne city – Australia's culture, cuisine and events capital – where visitors can enjoy a perfect café latte or award-winning local wine at any time of day or night.